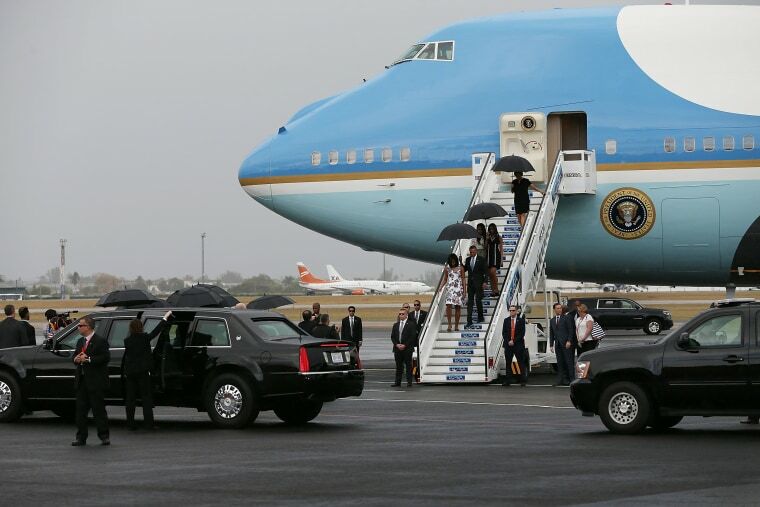 President Obama arrived in Cuba on Sunday. His visit is the first in nearly 90 years by a sitting president. 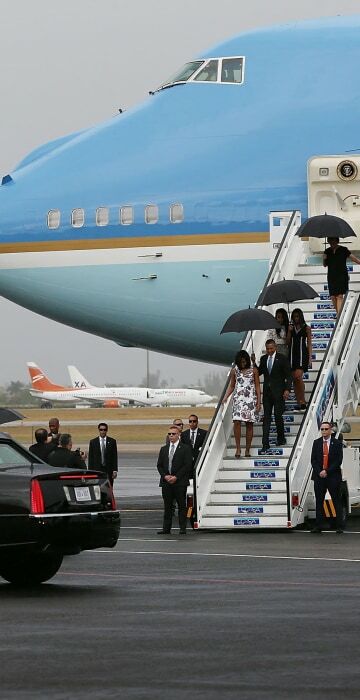 President Barack Obama and Michelle Obama followed by their daughters, Malia and Sasha walk down the stairs as they arrive at Jose Marti International Airport on Air Force One in Havana, Cuba.Obama's trip is a crowning moment in his and Cuban President Raul Castro's ambitious effort to restore normal relations between their countries. 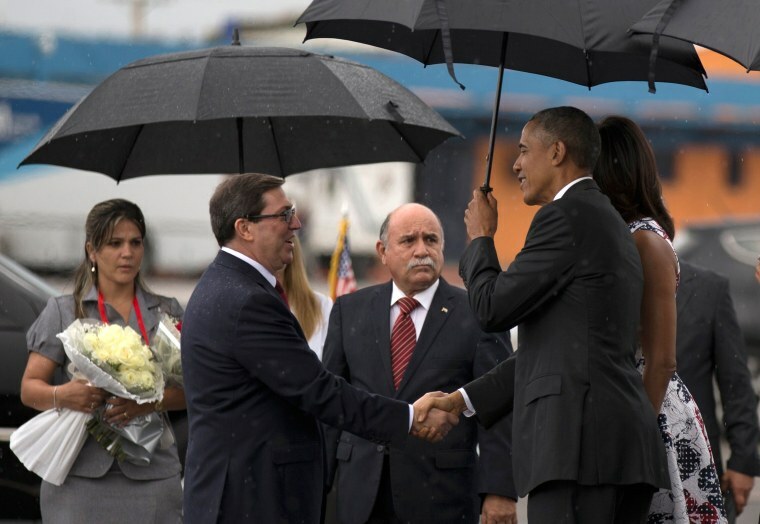 President Obama, right, shakes hands with Cuba's Foreign Minister Bruno Rodriguez as first lady Michelle Obama stands behind, right, upon arrival AT the airport. The last visit by a sitting U.S. president was by Calvin Coolidge close to 90 years ago. 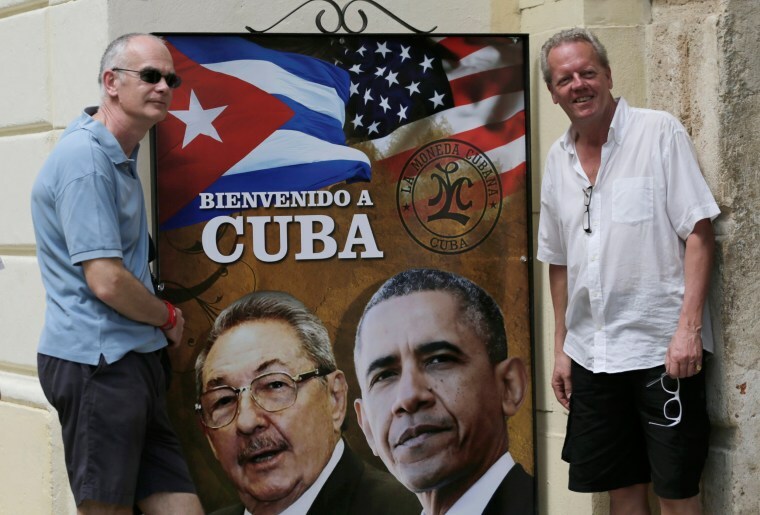 American tourists have their picture taken next to a sign depicting President Obama, right, and Cuban President Raul Castro in Old Havana. 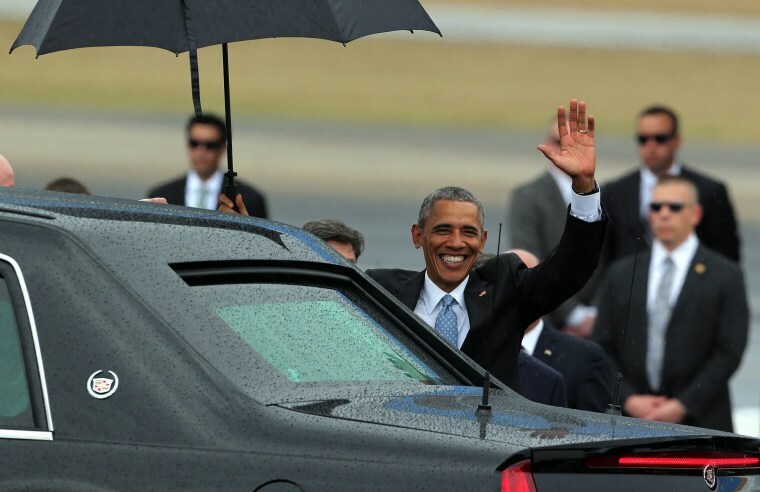 President Obama waves after his arrival. 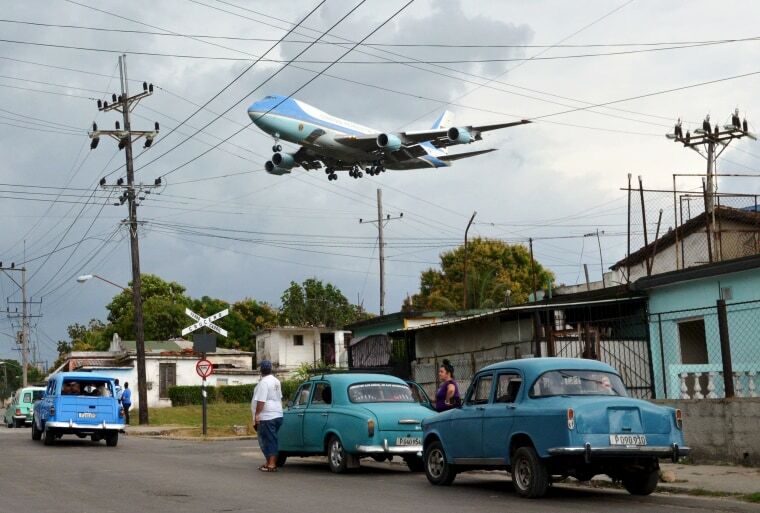 Air Force One carrying President Obama and his family flies over a neighborhood of Havana as it approaches the runway to land at Havana's international airport. 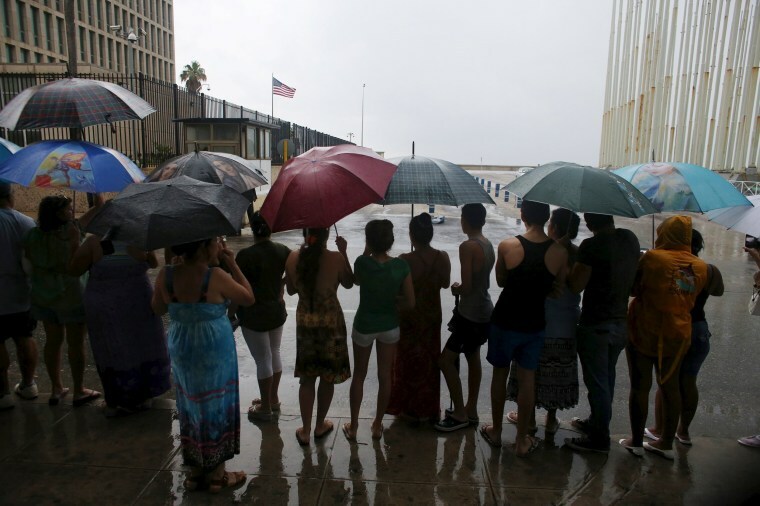 People gather outside the U.S. embassy in Havana to wait for the arrival of the president. 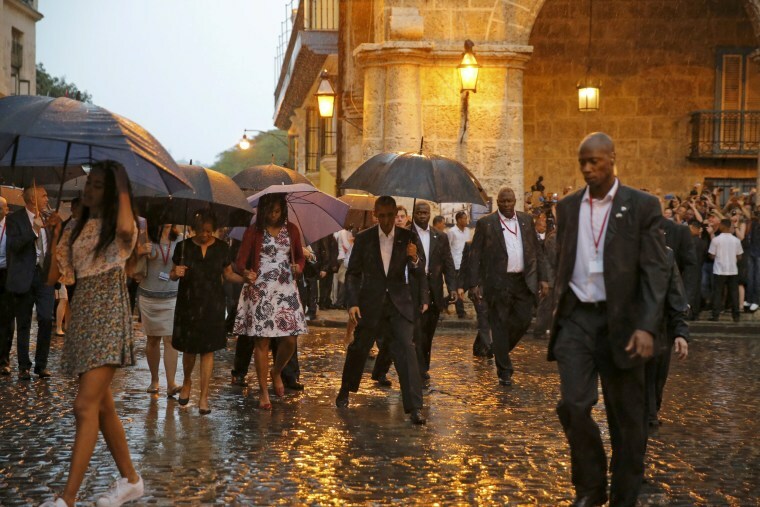 President Obama steps over a puddle while touring Old Havana with his family. 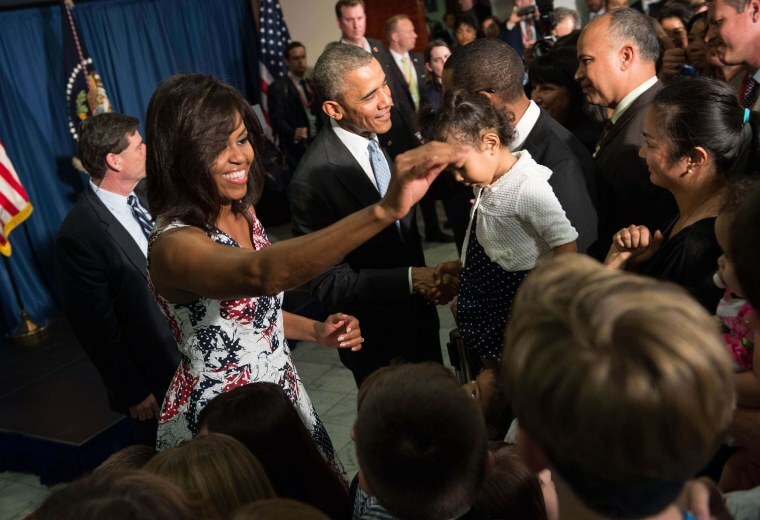 President Obama and the First Lady greet U.S. embassy staff in Havana. 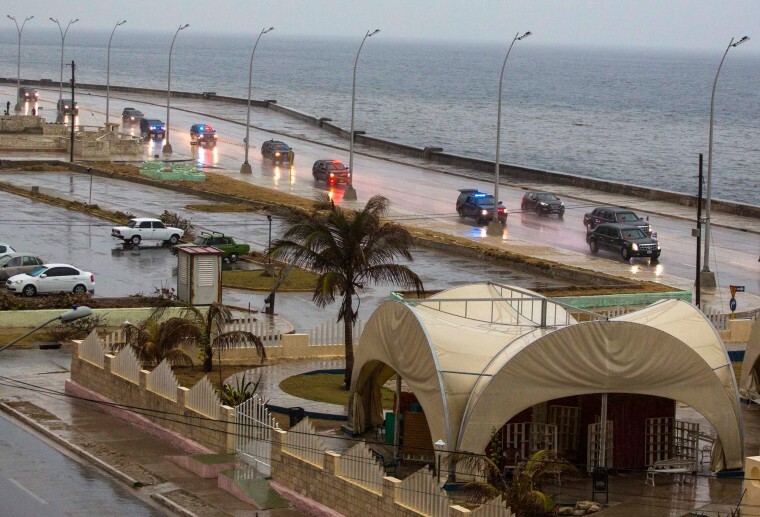 The convoy carrying the president and his family drives in the rain along the Malecon sea wall, past an artisan market in Havana.